VULKAN Couplings is launching the VULKARDAN G 84 at the Koremarine in Busan (26th to 29th October 2011, Hall LB, Stand Number 0.58), and this coupling has especially been designed for generator drives and electric motors in the medium power range. 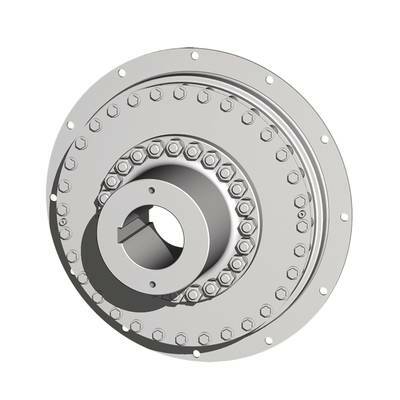 With the arrival of this product innovation, the company has supplemented the VULKARDAN G product range that has been recently launched for marine drive components in order to be able to cater for a higher torque range up to 63 kNm. The flexible VULKARDAN G series has been developed for modern auxiliary drives and generator applications. The couplings in the size range of 54-62 launched so far in the market with a nominal torque of up to 25 kNm have already been successfully used in engines with SAE flywheel connection. The range of couplings has been developed for free-standing systems, whereby it is possible to extend the elastomer without displacing the connected units. As a result of the torsional stiffness available, the system is also optimized in terms of torsional vibrations, and thus, damaging resonances within the operating speed range are eliminated and any impact on the motor control is prevented. On account of the optimized element design, VULKAN has achieved to increase the allowable power loss of the coupling. The connection of the elastomer to a membrane consisting of high-strength spring steel allows axial, angular and radial misalignment between input and output. With the VULKARDAN G 84, axial vibrations occurring during operation of the engine are at the same time absorbed by the membrane so that the connected generator is free from these axial vibrations. This has a positive effect on the service life of the generator bearings. The introduction of the new VULKARDAN G 84 with a nominal torque of up to 63 kNm is in response to the increased demand by engine manufacturers for economic generator couplings for non-SAE motors with rated power ranging from 3,000 - 4,500 kW. In the process, VULKAN Couplings lays emphasis, above all, on backlash-free torque transmission. This leads to proper transmission characteristics considering the aspect of controller stability when the coupling is loaded or unloaded. In case of shock loads the coupling design of the VULKARDAN G 84 that does not have a limit stop provides a highly effective protection of the system against overload. A benefit of the VULKARDAN G 84 is the linear torsional stiffness characteristic, which enables safe design of the coupling on account of the defined stiffness independent of the operating condition.